P5 Consulting Services, LLC was born in 2004. Owned by Don and Marylou Pritchard, the focus of their recruitment and staff development/retention services lie in the various industries within Agriculture. A solid work ethic instilled since childhood combined with practical experience anchor the foundation for this credible and successful business. Don and Marylou take great pride in their reputation for quality client service. As P5 has grown and increased it's reach, the company has maintainied a commitment to high performance and current industry knowledge based on the latest technologies and emerging research. Since the beginning, P5 has consistently provided quality candidates, personal, confidential service, and demonstrated the most ethical standards in the industry. We do more than merely match candidates to job openings. Other agencies accomplish this through scripted questions and a checklist. In contrast, we possess the education and professional backgrounds within each field to ensure quality candidates who have not exaggerated their capabilities. Candidates and references are interviewed extensively and then our own practical industry experience is applied to ensure that the candidate's experience and needs are appropriate for the job and culture offered by the client. We facilitate the client interview, negotiations and final follow up/notifications. Our objective is to launch long term successful relationships between the individuals we place and our clients. Each client has its own priorities. Organizations, company cultures, funding requirements and other factors come into play for different reasons and maintaining a wide perspective for all of our services is important. The strength in our industry knowledge, functional expertise, and a strong desire to provide premier customer service and personal attention separates P5 Consulting Services, LLC from other firms. Success by repeat business which weighs in at an impressively high rate. 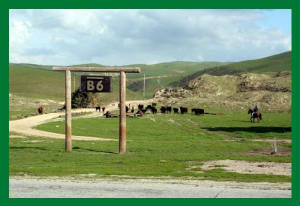 Don was raised and worked on his family's grain and commercial cattle ranch in the Carrisa Plains and Bitterwater Valley areas of San Luis Obispo and Kern Counties. 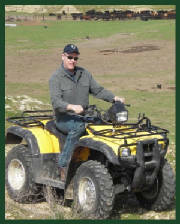 He attended Cal Poly San Luis Obispo where he obtained his Bachelor's degree in Agricultural and Farm Management. At that time, Central California was in a significant drought period and returning to the ranch was not an option. Don moved to Inyo County where he became a Deputy Sheriff covering areas between Bishop and Death Valley. An on-duty injury forced Don to retire from law enforcement in 2001. This revealed an opportunity to return to his roots and focus on his Partnership in his family's cattle and hunting operation - the BarB6 Ranch. While working on the ranch, Don knew he would also have to maintain a separate enterprise to make ends meet so he and Marylou started an agriculture focused management recruiting business that has been growing ever since. Visit his Linkedin Profile here. Contact Don at donp@p5consulting.com. Serving Agriculture companies in California, Nevada, Arizona, Oregon, Utah, Idaho, Montana, Hawaii, New Mexico, Colorado, and Washington.